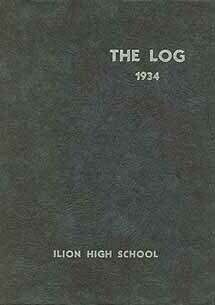 Now everything you wanted to know about the IHS Class of 1934 is at your fingertips....as published in the 1934 Yearbook Class History. 1998 Ilion Days Parade Grand Marshal. Mr. Harold Whittemore, a resident of Folts Home, was honored November 18, 1999 at the Herkimer Folts Homes. More than 70 residents and community members attended the program titled "This Is Your Life Harold Whittemore." 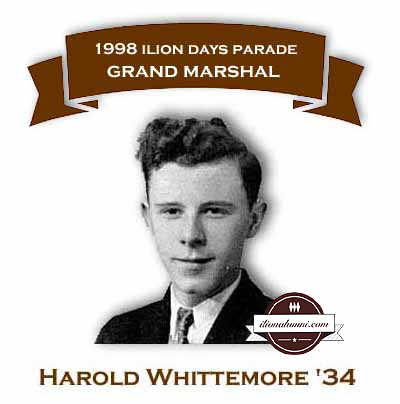 Harold Whittemore was employed in the newspaper business for 46 years, working as a reporter and editor for the Observer-Dispatch and publisher of the Ilion Sentinel. He also worked in public relations and radio during World War II. Speakers at the ceremony lauded his integrity, community service and the personal interest he took in the many people he met during his lifetime. Search Newspapers - This link will open in a new browser tab and takes you directly to the fultonhistory.com search page. To search a particular newspaper issue, instead of the hundreds that are on the site, use the commands that are described below. Enter the commands in the search window's textbox. Enter the exact Newspaper title (the title as it was created on the site) when Mr. Tryniski scanned them. 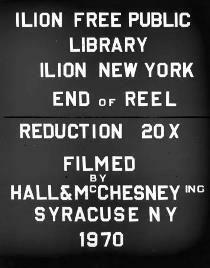 That is why it is important that you know that the titles, of the two Ilion newspapers, were misspelled. To search those particular newspapers, you must enter the names with the same spellings).